for dimensioning of polygonal parts we want to display the inner angle of the corners. 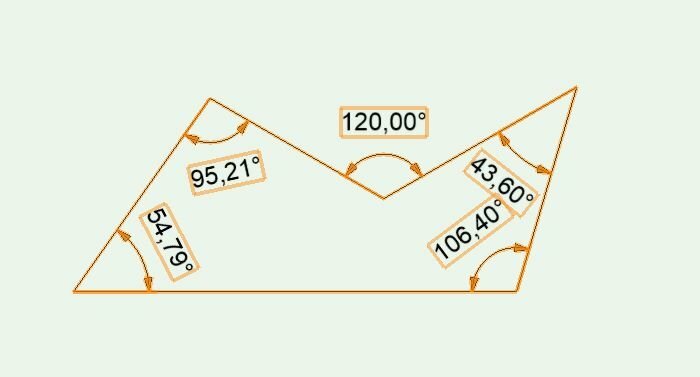 On concave corners ( > 180°) the angular dimensions appears on the outside of the polygon with an value of < 180°. In the dimension info palette I can use "Interior Arc" to switch the arc to the other side. The only (boolean) dimension object variable that seems to differ is ovDimTextPosInside, but setting this to true or false does not change anything. So how can I switch an angular dimension to the >180° side in code?